... sending postcards: paris demain! We're off to Paris for a few days before our Morocco trip. 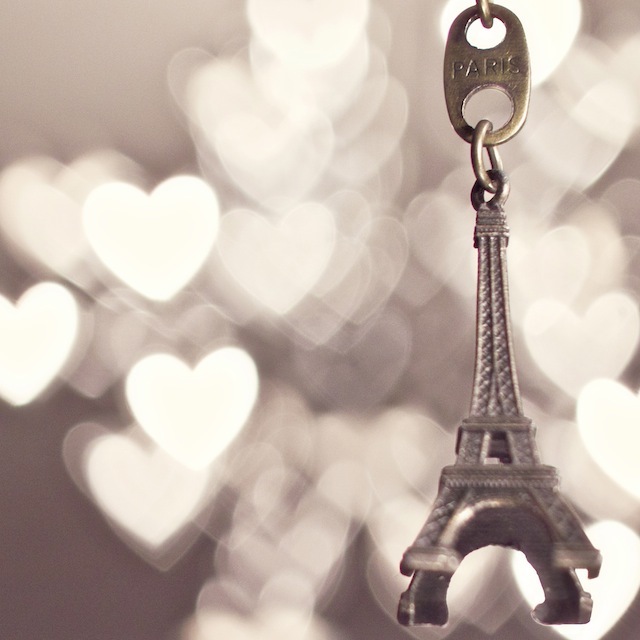 Photo of a little souvenir key chain we picked up from a street vendor during our first trip to Paris together. That is so exciting to go to Paris! I've never been there. You are so lucky that you get to travel so often! Sounds like it's going to be a marvelous trip. I'll be there myself in less than a month! Can't wait to hear about Morocco as well! I'm sorry to tell you but bring an umbrella! We've had quite some rain! Also, if you have the time, go to Mariage Frères for tea instead of Ladurée! Have safe travels! I can't wait to see what kind of fun you two have! Have fun in Paris and Morocco sounds amazing! Will you be in Morocco for the holidays? My sister and her boyfriend are going so jealous sounds like an amazing trip!! have a great time, but what else can one have in paris? one of the best cities in the world!!! :) and I am sure that you will also morocco, it is a photographers paradise!!! have a safe trip! Rebecca Yale Yep, we'll be there for the holidays! Yay! That is so exciting, I can't wait to see your snapshots of Morocco. Are you heading into the Sahara at all? I spent an amazing week there in 2008 and took some of my favourite photos of all time! I/am/jealous. Have a blast guys!! Eeek, so exciting! Bon voyage! Have fun I just got back from Paris! This picture you took is AMAZING!!! How did you get the hearts in background? Have a great time! I was there four months ago for a week. Amazing!! Can't wait to see Paris photos! So wonderful there. Thanks for sharing your travels... so inspiring! U must go skating on the rink at the Eiffel Tower! give a hug and kiss to morocco for me. my favorite place ever! paris is awesome, isn't it?? writing on building up new website.